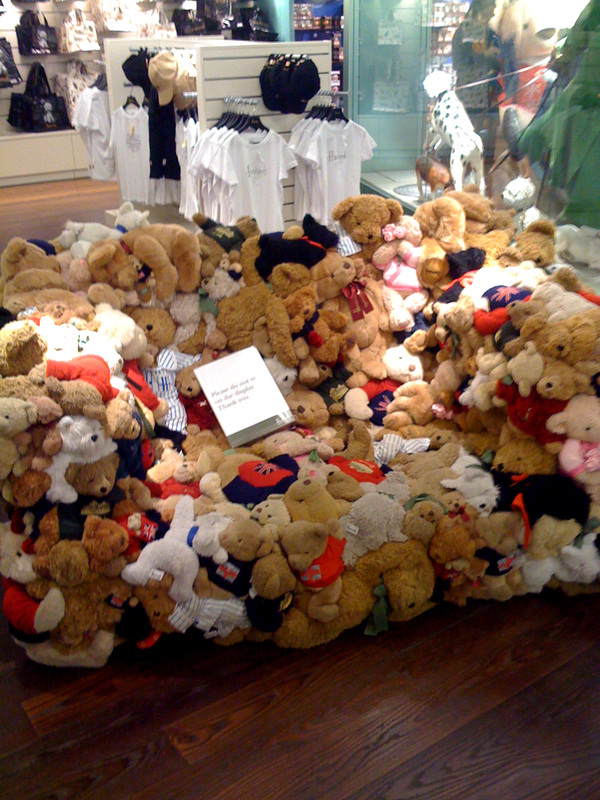 Today I had to visit Harrods to buy some presents for relatives and friends I’ll soon be visiting overseas (don’t ask me why, but they all want Harrods tote bags); while there, I spotted this monstrosity – an oversized armchair made from minced up teddy bears. Children walking past it were both fascinated and shocked. 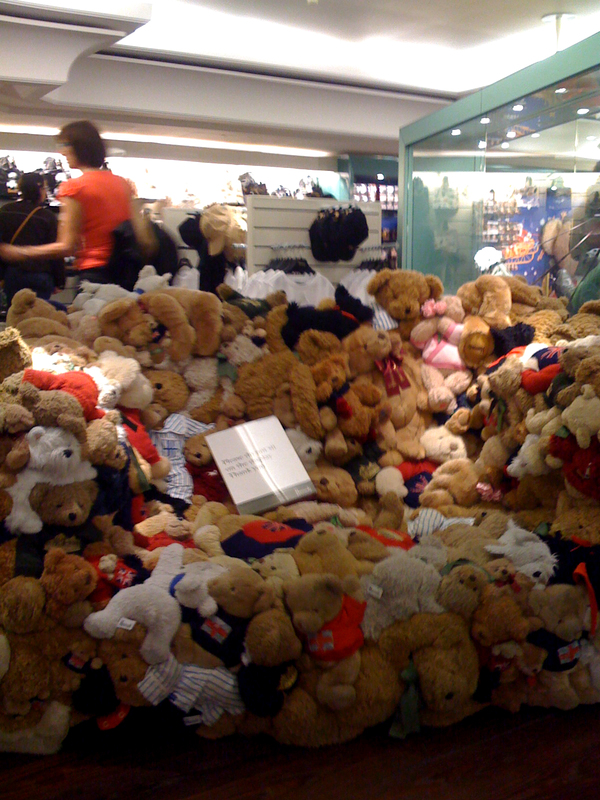 This is not surprising given that it looks like someone’s taken several armfuls of cuddly bears, chucked them in a rubbish compactor, mashed them up good and proper, and then stretched their furry little pelts over a threateningly large chair. 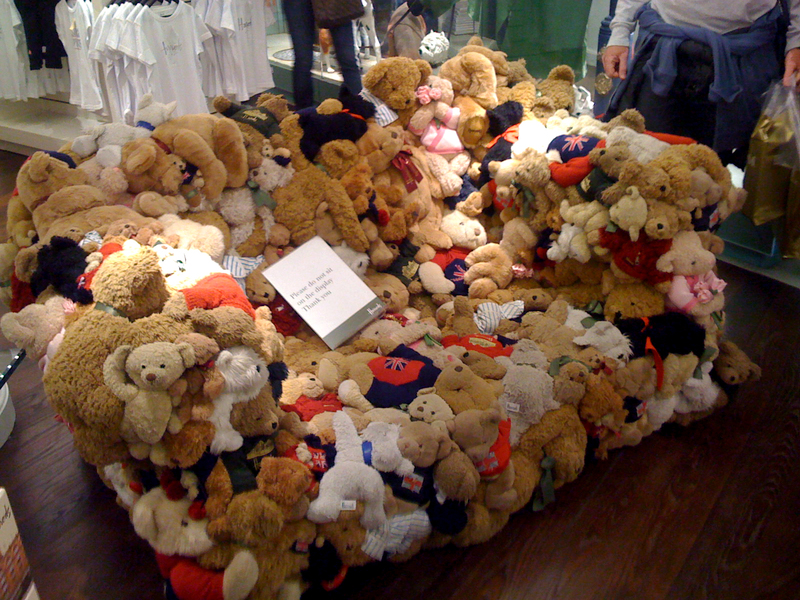 More pics of the monstrous Chair ‘O Bears after the jump. Never mind the chair…….what about the dogs in the background? What are they up to?